Collaboration is at the very core of our philosophy. We aim to be the 'glue that binds'. 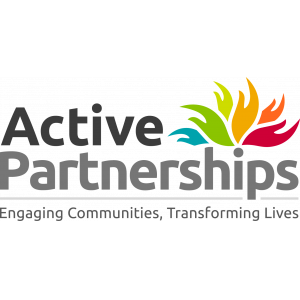 For a full list of Get Berkshire Active's partners please refer to Strategic Intent for 2017 - 2021. We have identified the strategic partners we need to work with and influence and have grouped them into the following 6 categories. Health: including Public Health (local and regional); CCGs, NHS Trusts and health and well-being boards of Local Authorities. These set the key priorities for affecting and improving health and we need to ensure that physical activity is uppermost in their minds. Public Sector: Primarily working to support and influence our six Unitary Authorities. These set local priorities and deliver, or commission, local programmes. We aim to influence them to ensure that sport and physical activity is a priority. Additionally, we have had tremendous success working with other public-sector organisations such as: the DWP, where we have delivered high impact behaviour change in the long-term unemployed; and the Police, where we are working to reduce crime and anti-social behaviour. Education: Influencing behaviours early can have lasting effects. We will do this both by working with primary and secondary schools and FE and HE institutions. Crucially, we will also work to support and influence those organisations who work with the education sector. These include local SSPs, the YST, youth groups and private sector coaches and activity providers. Facilities: Berkshire has a wide range of physical activity assets including: Leisure operators with a mix of public / private providers; large recreational areas around the River Thames & Jubilee River; local parks, notably Windsor Great Park alongside open countryside particularly in West Berks and areas like Swinley Forest; an abundance of water parks and lakes that are heavily used (although not always by local people); and private sport facilities, community centres and Business Parks that provide a range of facilities and recreational spaces. Workplaces: Around 60% of the population are in full or part-time work and their behaviours are, or can be, heavily influenced by what happens at work and by the attitude of their employers towards health and wellbeing. We aim to positively influence this, mainly through employer organisations such as the LEP, Chamber of Commerce and LA economic development departments. The Third Sector: To influence our hard to reach non-sporty and inactive target groups we must actively seek out those non-sport organisations who work with our target market (as they will know best and, have access to, this population) and build relationships with them to help them include physical activity as part of the service they provide to their user groups. 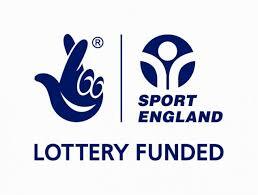 We will work closely with Sport England to deliver their objectives, locally in Berkshire. We will fulfil our commitment to them to deliver on the Core Contract Specification for which they fund us. We will provide them insight on Berkshire to help them make appropriate investment decisions. Together we will help build capacity in Berkshire to get more inactive people from every background regularly active. The APN are our national partner and advocate and we will work with them wherever possible to uphold the reputation of the AP network. Where applicable we will deliver locally any nationally agreed / funded programmes sourced by/through APN. We have strong relationships with around 20 NGBs working in Berkshire and we aim to influence these and other NGBs to invest greater resources in the County and work with us on our own developments for growing sport and physical activity. Through our existing Club Forum, e-communication and one-to-one contact we will gain insight into the needs and growth potential of clubs in Berkshire and how our services and programmes can best support them to get more people playing, coaching and officiating. We work closely with various public sector organisations using our expertise around sport and physical activity to help them deliver the key outcomes. We are currently working with the Police using sport to help to transform lives and reduce crime and anti-social behaviour. We also work with the Department of Work & Pensions using Sport and Physical Activity to develop mental resilience, physical robustness and motivation helping individuals back into work, training and volunteering opportunities. We have a Memorandum of Understanding with the 6 Berkshire LAs which outlines the special relationship we have with them. This is based on working closely together, supporting each other to build capacity in their areas to deliver greater impact targeted where it is needed most. We will help facilitate the spread of good practice and shared ideas. GBA develops relationships with MPs, Lead Councilors and dignitaries that support the flow of resources into sport and physical activity within the county. The Buckinghamshire, Oxfordshire & Berkshire West Strategic Transformation Plan (BOB STP) Prevention Group. GBA have ensured that Physical Activity remains a prevention priority at this strategic level. The Frimley Integrated Care System (ICS) which covers Berkshire East (and Surrey and Hampshire). Again, we ensure Physical Activity is a central pillar of their work. Working through our growing network of Public Health colleagues we will influence the emerging Health and Wellbeing Boards (HWB) to prioritise physical activity and ensure that sport and physical activity are wellpositioned in the sub-group structure of each Board. In line with the government review of sport – we will work to encourage Health and Wellbeing Boards to include physical activity as a specific priority in plans. Provide expertise, insight and knowledge related to physical activity to local CCG / NHS groups. As CCG's become more involved in prevention and management of conditions using Physical Activity, GBA will provide support and input as required. GBA can provide interventions and programmes to support CCG / NHS outcomes. GBA are integral members of the NHS STP working groups for Prevention and we will use our expertise and knowledge to influence their work around increasing physical activity and decreasing sedentary lifestyles. "A treatment that could cut 3 per cent of strokes, prevent 30 per cent of dementia, 30 per cent of osteoporosis, radically reduce breast cancer and bowel cancer, not to mention prevent depression, reduce stress, eliminate type 2 diabetes and cut the falls that our parents' generation experience each year." "If you could pack all of that into a magic pill, it would be a worldwide pharmaceutical blockbuster. But the label on the side of this treatment says: 'activity and exercise'." Building on the strong base created by the Berkshire Disability Sport Group we will develop a strategic approach to Disability Sport, which includes a central support function that feeds resources into three delivery hubs across the county. On-going commissioning of disability sports work to expert organisations. Youth Sport Trust, Ambition, YMCA, Mind, Macmillan Cancer Support, AgeUk, Mencap, Alzheimer's Society, Blind Society (Berkshire Vision). Work with local branches to provide opportunities to client/user groups. Work with local branches to deliver programmes jointly. Targeting programmes in areas with communities where individuals experience significant social, economic and personal hardship to help build resilience amongst local people. Using our resources to support partners / individuals and providing our services to commissioners to deliver community development outcomes. 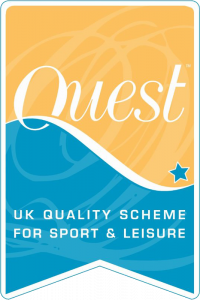 Develop links between private leisure providers and NGB products and programmes. Involve providers in local discussions about increasing participation where it impacts upon their contractual obligations or business plans. Develop mutual relationships with local media so that they see us as a 'first-port-of-call' for commenting on issues relating to sport and physical activity. Enable and support investment in sport in Berkshire by local companies both in cash and in-kind through schemes such as employee volunteering. Work with sporting partners to develop work-based sport and physical activity and connections to local sporting opportunities. Deliver HWB products and services for employers and promote the use of the Workplace Challenge. Partnering community regeneration programmes to add value in tackling socio-economic exclusion. We have positive relationships with the many stakeholders working in sport with children and young people and will develop a countywide strategic plan for children and young people to inspire a future generation of athletes, enable better planning and integration between School Sport Networks (Primary and Secondary schools), FE, HE, local authorities, NGBs and clubs. Integrate FE Colleges into the Berkshire sporting networks to ensure that links between colleges and NGBs deliver increases in participation. Connect FE Colleges to their local sporting networks. Support Reading University to grow their community sport offer (particularly work with 55+) and create pathways for students into volunteering and community clubs.